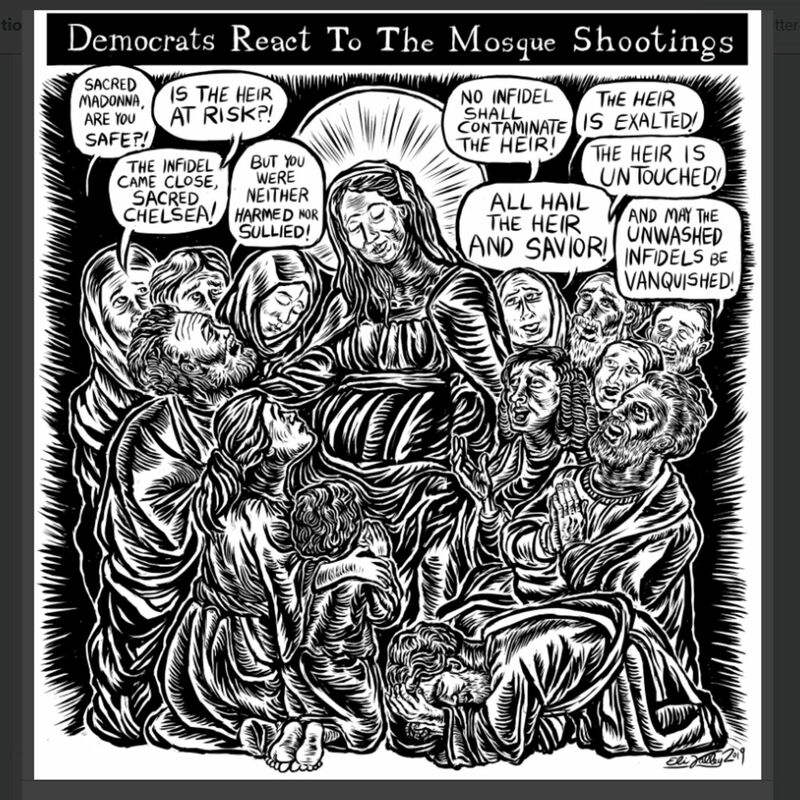 We are joined by cartoonist, writer and all-around provocateur @elivalley to talk about his work, including recent online run-ins with fellow Jewish luminaries Ben Shapiro, Meghan McCain and Chelsea Clinton. Eli discusses the ways in which his art lampoons the fraught and contentious relationship between Israeli/Christian Zionists and the largely liberal/leftist Jewish diaspora. Lots of good talk in here about xenophobic right-wing forces abroad allying with Likudniks and Kahanists in Israel, the war over Jewish identity, and the contradictions that lie at the heart of the Zionist project. We also address the Christchurch massacre and how the Shapiros of the world are going to deal with a certain presidential candidate from Vermont. Please listen until the end as we remember Raghav Mehta, a comrade and compatriot who tragically passed away last week.